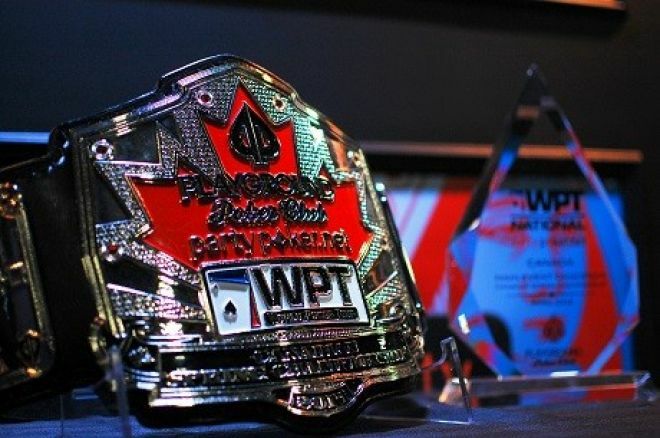 The World Poker Tour (WPT), presented by partypoker, descended on Canada's premier poker destination, Playground Poker Club, to provide Canadian players with an affordable event with the prestige WPT is known for. With 1,079 entries in the $1,100 Canadian Spring Championship, the prize pool slipped past the $1 million guarantee. By the end of Day 4, Jason Comtois from Ontario took the top prize of $147,114, the title, and the glorious trophy belt that Playground has become famous for. PokerNews Canada was on site just outside of Montreal, Quebec throughout the event writing daily reports of the action. You can find that series of coverage right here. Day 1c actually received the most attention of all of our daily reports, likely because it featured reports and photos of the likes of Mike Sexton, Antonio Esfandiari, Tony Dunst, Gavin Smith, among others. Check back in tomorrow to see which article makes #9 on our list of most popular articles in 2014.